Sundays are meant to be the ‘day of rest’. The one where we all sloth about and basically relax until 9pm comes and then seriously freak out about the fact it’s work tomorrow. Yeah, I like to do that too except then the lovely insomnia kicks in too and you’ll find me up until the early hours binge watchin’ Law & Order. 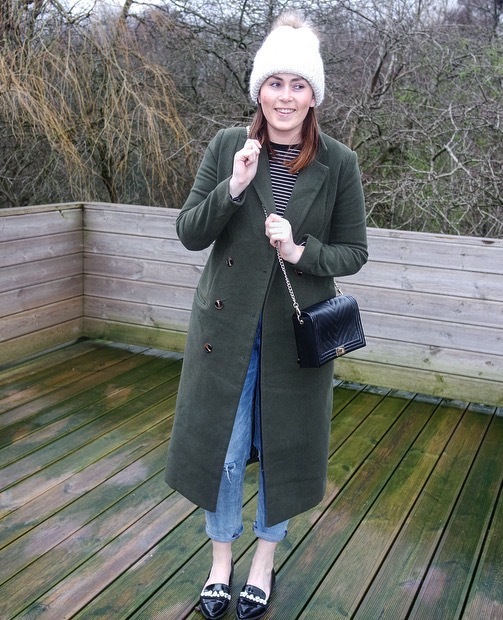 I know what you’re thinkin…’Emma, It’s not Sunday you weirdo’…but this post is aimed to show you just how I style it up on that relaxed day. Anyway, as I was sayin’, Sundays are that day when you can be super lazy or super productive, but either way you’re definitely gonna want to be comfy while you’re doin’ either one of the other. So, when that day rolls around every week I seem to turn to my style staples. Some items which you could say I wear ridiculously so much it’s gettin’ beyond a joke. But you know what, when you find those items that you love, and whether you love new clothes like me too, the favourites always win. As I’d said in my previous post the rain is seriously gettin’ right on my t*ts and badly in my way of fashionin’ up some outfits to feature on the blog. 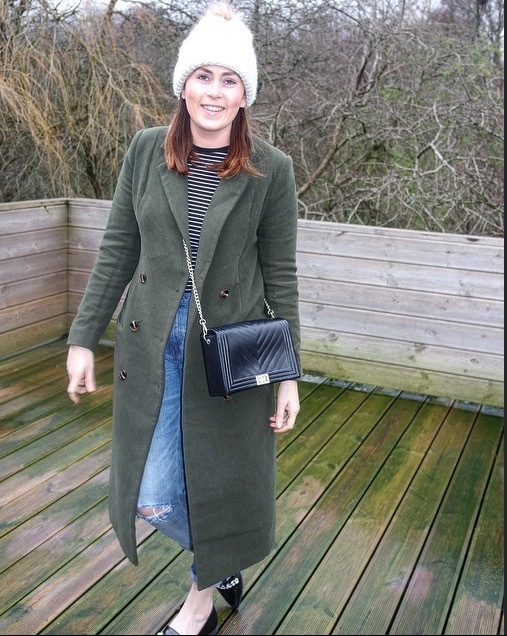 So because of this, my slouch Sunday style had to be captured in literally around 5 minutes in the back garden. After editing out numerous washing lines and repeatedly trying to get the mother to “point downwards and focus”, well this was the best your gettin’. -Whats your fave Sunday outfit? P.s, Sorry about the poor quality photo’s as the mother couldn’t grasp just how to take em’. Aw at least your mum tried- my mum would never attempt to take outfit pics!! I love this outfit though, so cozy and definitely perfect for a weekend. It wasn't rainy this weekend at all, which was a wonderful change!!! 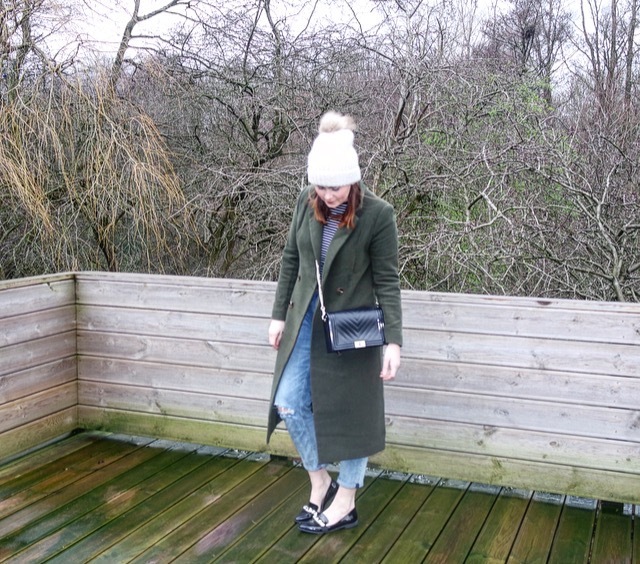 I like the combination between quite a structured coat and a big hat – love it!